Chisholm Catholic Primary School Teacher Librarian Fiona Lark has been introducing coding to all year groups across the school in Term 1 of 2018. The aim being to focus on developing familiarity and fluency with computational thinking practices. The approach was to provide a narrative based coding design to develop computational thinking where students are designing, coding, iterating and debugging. 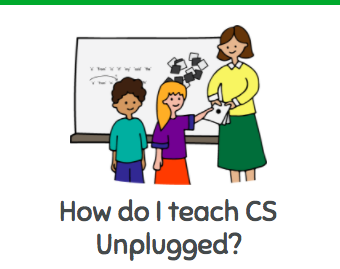 This approach provides students with more opportunities to really learn about coding and makes it more student-centric and relatable. 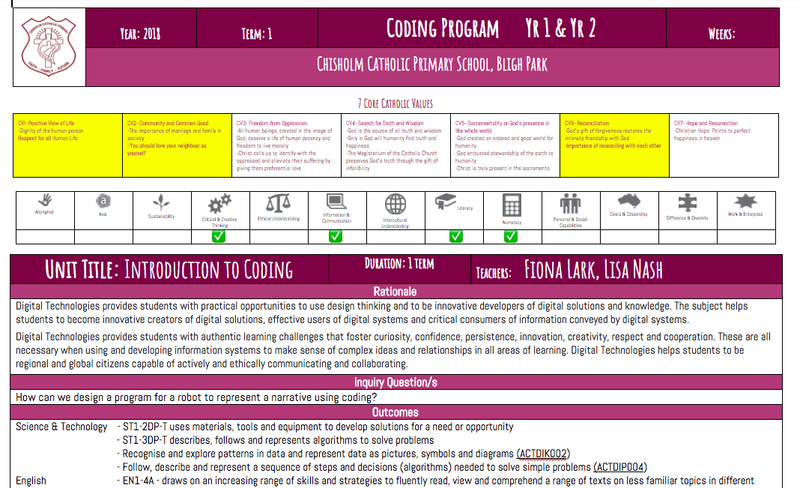 To plan, program and introduce a progression of basic coding activities from K-6, integrated across other KLAs. 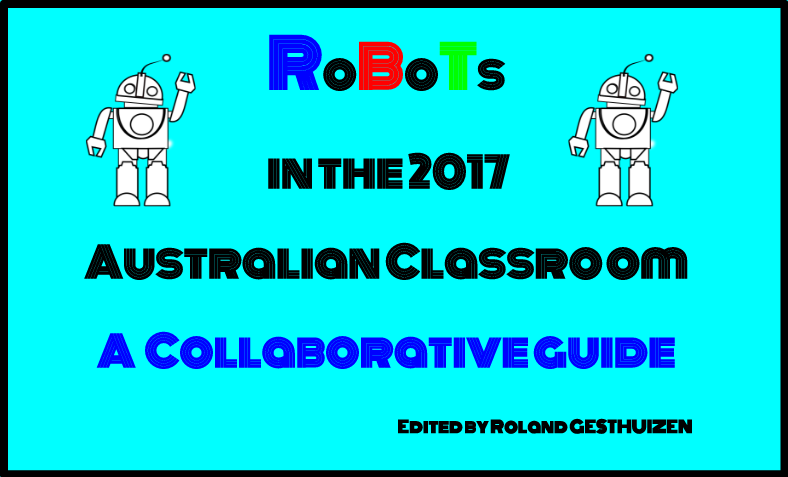 To achieve this it was decided to use Blue-Bots as the robotic tool to introduce coding from K-6. 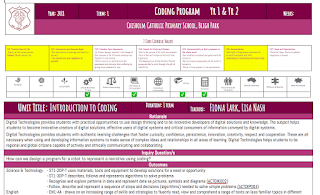 It provided a continuum for the teacher to program across all stages. 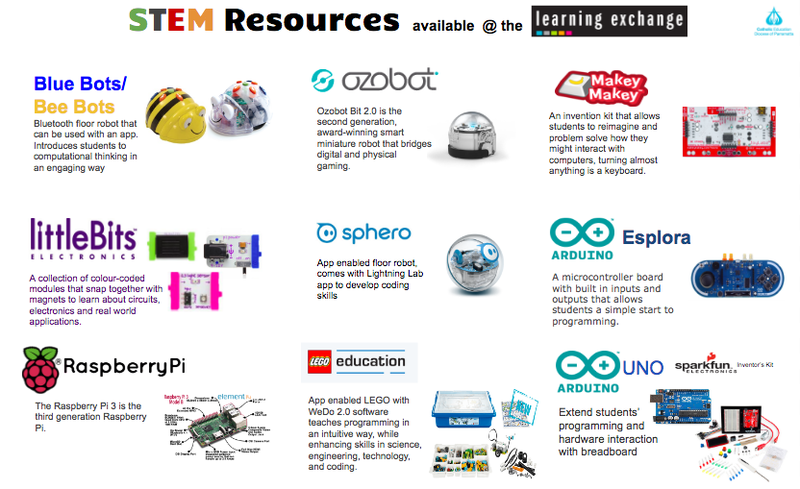 Students would have a session each week on coding. Stage 2-3 Focused on creating a program to represent a narrative they created. Individual learning intentions and success criteria were co-constructed with each stage.